Easy to drive. Impressive fuel economy and low running costs. Space for a family. 450 litre load area. e-Niro has 282 mile WLTP range. Base models don't get Android Auto or a touchscreen. Ride quality is sometimes unsettled over country roads. 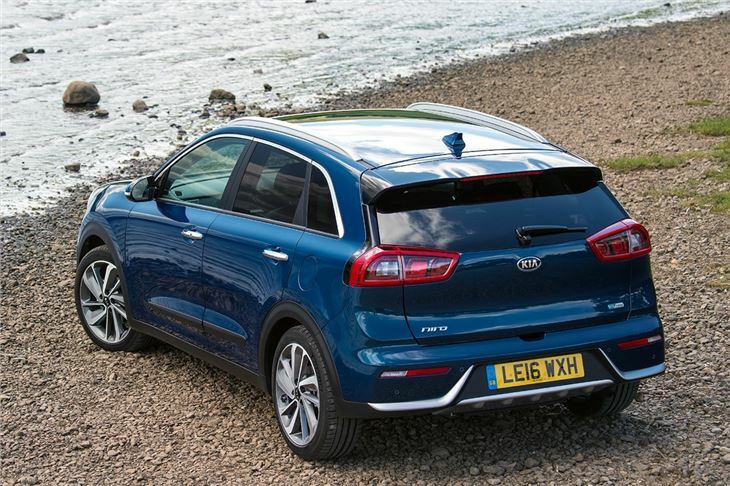 It might look like any other crossover, but the Kia Niro is a hybrid, much like a Toyota Prius. That means it has a high driving position and plenty of space for a family, but it's also economical, with low emissions and impressive economy in real world driving. Power comes from the combination of a 1.6-litre petrol engine and a 44PS electric motor, with a total output of 141PS and 265Nm of torque. Official economy is 74.3mpg and emissions are 88g/km, with no plugging in necessary. A six-speed dual-clutch automatic transmission is standard, as opposed to a CVT like the Prius. The result is a driving experience that will feel more familiar to drivers used to a conventional automatic transmission or a manual gearbox. 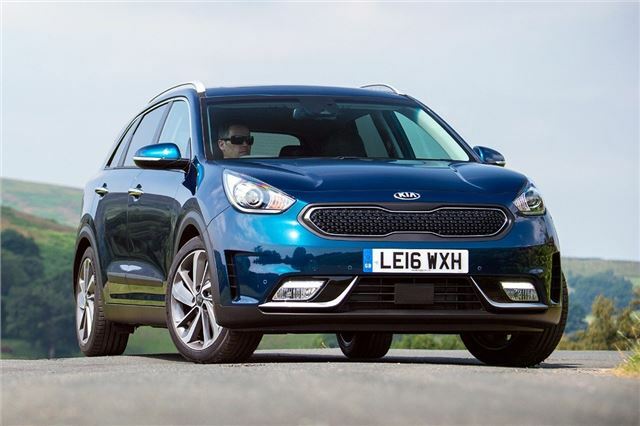 In fact, the Niro just feels like any other car for the most part, particularly out of town, where it's easy to drive and very comfortable. It can operate on electricity alone under some circumstances, such as at low speeds in traffic or when cruising at a steady speed. However, most of the time the engine needs to be working. Fortunately, while it is audible, it’s only really noticeable when accelerating very hard for overtakes or joining motorways. If you can charge a car at home, there's also a plug-in hybrid model, with an official 36-mile range under electric power alone. The PHEV is only available in one trim level, the 3, meaning it's well equipped but also quite expensive. 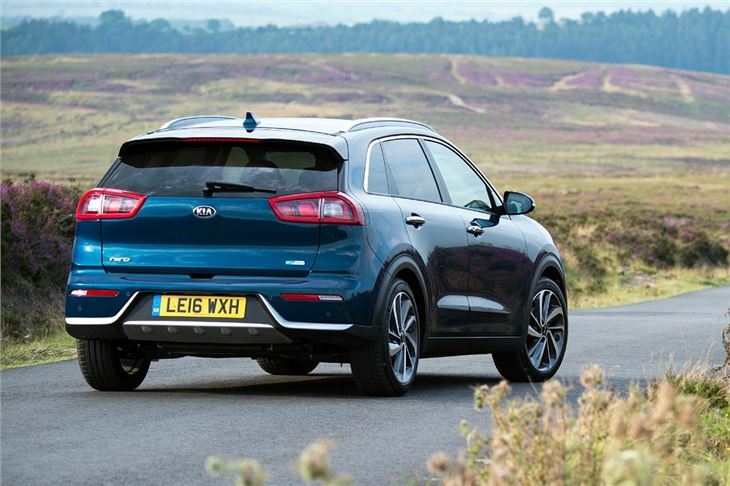 Aside from the hybrid system, the Niro is very much like any other crossover. 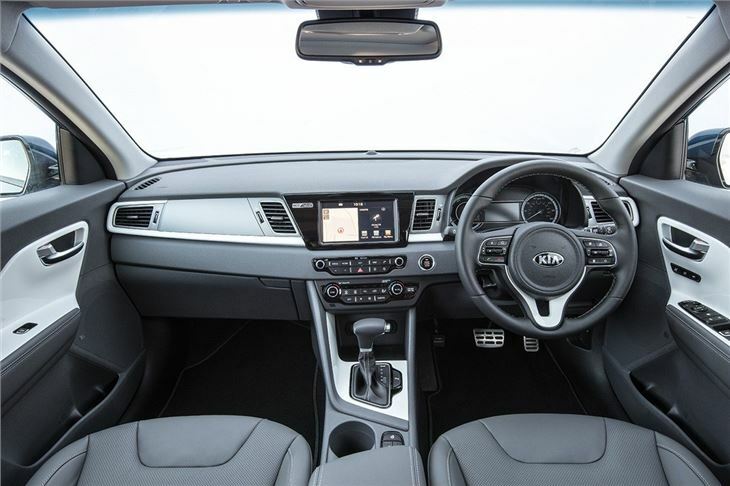 It’s spacious, comfortable and comes with plenty of modern technology, including standard-fit lane keep assist, Bluetooth and cruise control plus, on mid-grade ‘2’ versions, there is navigation and smartphone mirroring through Android Auto. 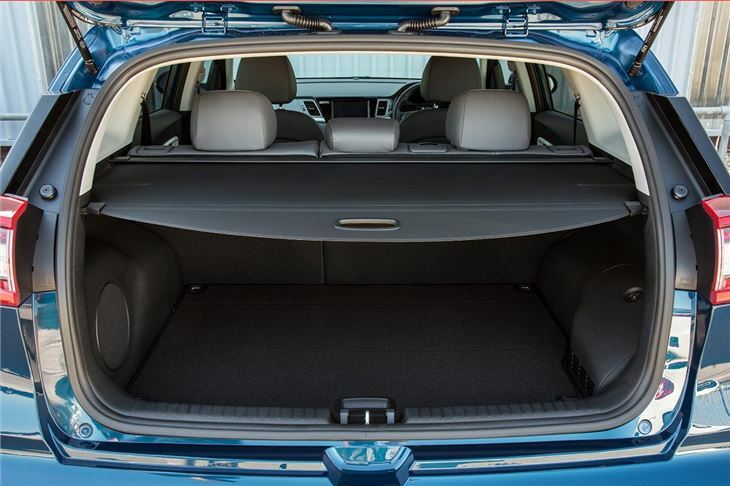 Space in the back is adequate even for adults, while the boot is a perfectly decent 421 litres, expandable to 1425 litres with the rear seats folded flat. Like all crossovers it has a fairly high load deck compared to hatchbacks, but that’s par for the course and the Niro is no worse than anything else. 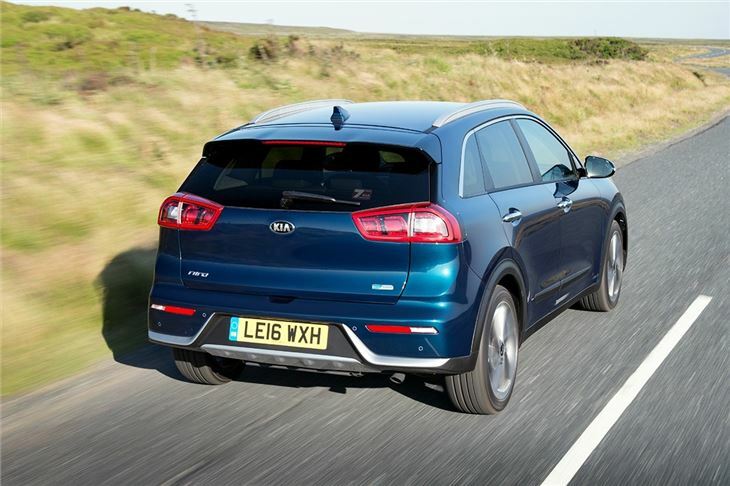 If space, performance and convenience technology matter more to you than running cost then there are better choices, including Kia's own Sportage. 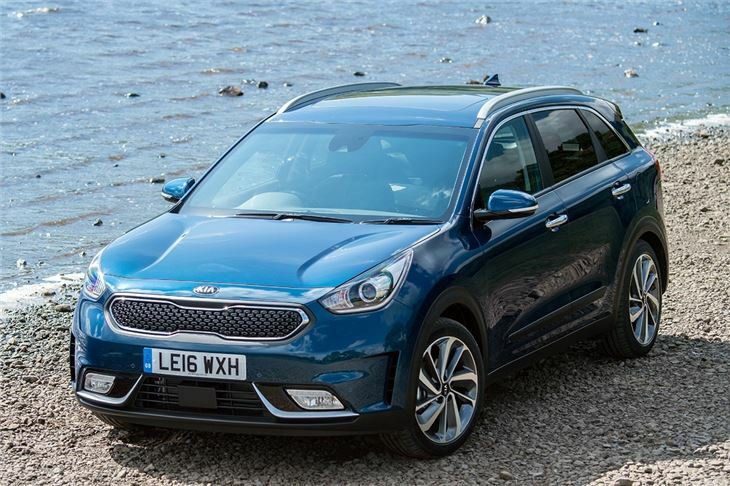 But the Niro's ease of use, low running costs and impressive economy make it a great alternative to petrol or diesel-powered crossovers like the Nissan Qashqai or the SEAT Ateca - just be prepared to pay a small premium for its hybrid system. Just what i needed, automatic, economic & comfortable.